We have thus far elaborated on developments in the last 15 years that have led to significant improvements in cardiovascular health. for delivery of a therapeutic drug. concurrent with restriction of the anticoagulant activity. the realm of chemotherapy, and we shall see where this progresses. the impact of interventions on blood flow. combat complications that ensue from vascular interventions. what have we learned about the biology of the blood vessel? how might this knowledge be used to enhance clinical perspective and treatment? Circulation Research presents us with just such a challenge, and we deal with it’s biological and clinical ramifications. a self-renewing tissue with an inherent healing potential. and could be composed of human cells. could be enhanced by alterations in culture conditions. or would have experienced if formed naturally. dictates function after cell implantation. cell pliability to environmental influence. achieve secondary function once in place in the artery. The trilaminate vascular architecture provides biochemical regulation and mechanical integrity. Yet regulatory control can be regained after injury without recapitulating tertiary structure. placed in the perivascular space of injured vessels. ECs line the vascular epithelium and the vasa vasorum. Endothelial Cells (ECs) of the perfusing bronchial vasculature. when both cells were present in TE matrices. EC and EP, cells were present simultaneously. ECs may provide for preservation of tissue perfusion and the epithelium in particular. maintaining patency in arteriovenous anastomoses. a key regulator of endothelial behavior in MEEC constructs. fibers and rearranged focal adhesion proteins, in comparison to cells grown on 2D surfaces. of monocytes to an inflamed endothelial monolayer by 5-fold compared to EC on 2D surfaces. an 8-fold lower release of Monocyte Chemotactic Protein-1 (MCP-1) from MEECs. regulate the transition from mesodermal precursors to cardiac progenitor cells (CPCs)? activate or inhibit transcription in a context-dependent manner. Yin Yang 1 (YY1), a repressor of sarcomeric gene expression, is present in CPCs. Nkx2.5 as a key marker of early cardiogenic commitment. Furthermore, the ability of YY1 to activate Nkx2.5 expression depends on its cooperative interaction with Gata4. Cardiac mesoderm–specific loss-of-function of YY1 resulted in early embryonic lethality. overexpression of YY1 enhanced the cardiogenic differentiation of embryonic stem cells into CPCs. Various measures of arterial stiffness and wave reflection are considered to be cardiovascular risk markers. in 2232 participants (mean age, 63 years; 58% women) in the Framingham Heart Study. 151 of 2232 participants (6.8%) experienced an event. (95% confidence interval, 1.16 to 1.91 per SD; P0.002). (95% confidence interval, 0.05% to 1.3%; P < 0.05). cardiovascular disease outcomes in multivariable models. increased risk for a first cardiovascular event. 3. Tissue-engineered endothelial and epithelial implants differentially and synergistically regulate airway repair. BG Zani, K Kojima, CA Vacanti, and ER Edelman. PNAS 13, 2008; 105(19):7046–7051. 4. The role of scaffold microarchitecture in engineering endothelial cell immunomodulation. 6. Arterial Stiffness and Cardiovascular Events. The Framingham Heart Study. GF Mitchell, Shih-Jen Hwang, RS Vasan, MG Larson, et al. Circulation. 2010;121:505-511. The European Society of Cardiology (ESC) produced updated guidance on management of STEMI in 2012. It also produced a third version of the Universal Definition of Myocardial Infarction. ideally within 90 min (rated ‘acceptable’ out to a maximum of 120 min). to facilitate achievement of such targets. especially when accompanied by symptoms consistent with myocardial ischaemia. when the ECG demonstrates persistent ST-segment elevation. previously perceived hazard for stent thrombosis. minimum of 6 months for patients receiving DES. elevation above the 99th percentile upper reference value for the assay. in patients with a normal baseline level (or a 20% rise when troponin is elevated and stable or falling pre-procedure). DAPT pre-loading prior to PCI procedures also now advocated. Ticagrelor and prasugrel are cited as acceptable alternatives to clopidogrel. The maintenance dose of aspirin recommended for the majority of cases is 81 mg daily. This guideline brings about transatlantic agreement in most areas. with a clinical risk score (e.g. GRACE, TIMI). comparable with LBBB (14.3 vs. 13.1%; P = NS; and 15.8 vs. 15.4%; P = NS, respectively). in patients presenting with both inferior and anterior infarction. independent predictor of mortality at 1 and 4 years of follow-up. equating to a 29% increase in mortality at 1 year and 24% at 5 years. interventions to reduce heart rate will replicate the benefits observed in this study. demonstrating relationship between discharge heart rate and mortality after PPCI for STEMI. Modified from Antoni et al. enhanced constriction/hyperreactivity of the distal vascular bed. trap and hold potentially friable material that might embolize distally at the time of PCI. with conventional BMS or DES at the operator’s discretion vs.
the achievement of TIMI grade 3 flow in the treated vessel (91.7 vs. 82.9%; P = 0.006). current-generation DES (as now endorsed for PPCI in ESC guidance). therapeutic intervention chosen (Figure 2). Figure 2. 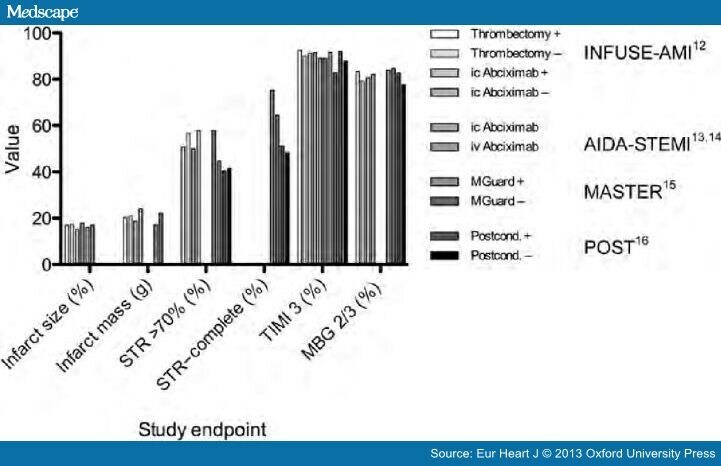 Comparison of study endpoints for reduction in infarct size in STEMI. myocardial infarction grade 3 antegrade flow; myocardial blush grade 2/3 (MBG 2/3). may be difficult to discern despite large well-designed and -conducted studies. Infarction of the European Society of Cardiology. Eur Heart J 2003; 24 (1): 28-66. Myocardial Infarction. Third universal definition of myocardial infarction. stents with bare metal stents in patients with ST-segment elevation myocardial infarction. on Practice Guidelines. J Am Coll Cardiol 2012;60:645–681. to future guidelines as an indication for reperfusion therapy? Eur HeartJ 2012;33:86–95. the full spectrum of aVR ST-segment changes in acute myocardial infarction. in patients after myocardial infarction treated with primary percutaneous coronary intervention. infarction. The MASTER Trial. J Am Coll Cardiol. doi:pii:S0735-1097(12)04506-8. 10.1016/j.jacc.2012.09.004. 10 randomized trials. Eur Heart J 2012;33:3070–3077. hypertension who are compliant with maximum tolerated doses of an appropriate antihypertensive drug regimen consisting of a minimum of 3 agents of different classes, including a diuretic. doses of ≥4 antihypertensive agents are classified as having controlled resistant hypertension. those who may benefit from specific therapeutic approaches to lower BP. standards, and the current definitions of stable, unstable, and previously unclassified ACS risk. Campbell Rogers, MD; Elazer R. Edelman, MD, PhD. Circulation 2006; 113: 2262-2265.
preclinical and clinical environments test the limits of device functionality. It was in this light in 1999 that the Authors noted the impossibility of defining the functional limits of novel bare metal stents in head-to-head trials, which, by necessity, could only include lesions into which the predicate device (the Palmaz-Schatz stent, Cordis, Warren, NJ) could have be placed. Head-to-head randomized trial data have accumulated so that analysis may demonstrate differences among drug-eluting stents. The playing field for prospective randomized trials could enhance the weight of evidence to unanswered questions about what underlying factors determine device failure. inadequate function in the setting of a given load or strain. “Simple lesions” are those in which few devices should fail;“Complex” lesions have a heightened risk of failure. To be of value, each scale of advancing complexity must provoke higher failure rates. For any device may fail sooner than another along one such “complexity” scale and later along another. As advanced drug-eluting stent designs have enhanced deliverability and reduced restenosis rates, 7 randomized trials comparing directly the two Food and Drug Administration (FDA)-approved drug-eluting stents, Cypher (Cordis-Johnson and Johnson) and Taxus (Boston Scientific, Boston, Mass), have been reported. These trials report a broad range of restenotic failure as evidenced by the need for revascularization. Across these trials, driven by a variety of factors, revascularization rates vary quite widely. a single measure of device failure. separation between the failure rates of the two devices broadens plotted against “degree of complexity” assigned by the slopes of the lines. one device becomes ever-more likely than the other to fail when applied in settings with ever-higher TLR risk. as the environments in which they are tested become increasingly complex. more complex settings is precisely what one would anticipate from medical devices with different performance signatures. Most randomized trials, even if they include high complexity, are unable to identify predictors of failure because of the low numbers of patients enrolled, and the problem gets worse as the number of subsets increase. Consequently, device development, and clinical practice, knowing which patient or lesion characteristics confer higher failure rates is critical. completely different device or patient characteristics. two ways in which well-executed registry or pooled data can be most complementary to randomized trials. First, large numbers of patients provide a higher incidence of rare failure modes as well as allow more granular determination of lesion- or patient-specific predictors of failure (meta-analysis or better, combined data file). A pooled analysis of several head-to-head randomized bare metal stent trials allowed identification of clear risk factors for stent thrombosis that had eluded analysis of the individual (smaller) trials. greater degree of prestent and poststent stenosis. Use of a Cypher rather than Taxus stent was independently associated with lower restenosis risk. An interesting negative finding was the absence of diabetes as a significant predictor, at odds with strong suggestions from several other analyses. A better understanding from preclinical or clinical studies of the effect of diabetic states on restenosis is critical. the higher the complexity, the greater the incremental benefit of choosing one device over another. safety and efficacy based on the totality of evidence, rather than anecdote and loose comparisons of disparate subgroups from individual trials. data from many different countries in complex settings are now indicating just how differently the 2 devices may perform. between complex devices applied to complex problems. was published the following year, and is another example of this method of explanatory approach to the problem. AR Tzafriri, N Vukmirovic, VB Kolachalama, I Astafieva, ER Edelman. J Control Release. 2010; 142(3): 332–338. Local drug delivery from endovascular stents has transformed how we treat coronary artery disease. Yet, few drugs are in fact effective when delivered from endovascular implants and those that possess a narrow therapeutic window. The width of this window is predicated to a great degree upon the extent of drug deposition and distribution through the arterial wall. Drugs that are retained within the blood vessel are far more effective than those that are not. Thus, for example, heparin regulates virtually every aspect of the vascular response to injury, but it is so soluble and diffusible that it simply cannot stay in the artery for more than minutes after release. Heparin has no effect on intimal hyperplasia when eluted from a stent. Paclitaxel and sirolimus in contradistinction are far smaller compounds with perhaps more narrow and specific effects than heparin. These drugs bind tenaciously to tissue protein elements and specific intracellular targets and remain beneath stent struts long after release. the native composition and layered ultrastructure of the native artery is more significantly disrupted. Virmani and others have hypothesized that the attraction of lipophilic drugs like paclitaxel and sirolimus to fat should affect their retention within and effects upon atheromatous lesions. Though stents are deployed in diseased arteries drug distribution has only been quantified in intact, non-diseased vessels. with lesions induced by dietary manipulation and controlled injury. pixel values between thresholds were extracted for all zones of interest. evaluating the pixel-average luminosity for each sector. inflation techniques and stent geometry. Paclitaxel, everolimus, and sirolimus deposition in human aortae was maximal in the media and scaled inversely with lipid content. correlated with expression of their intracellular targets, tubulin and FKBP-12. were reduced with (reduced) lipid content. in mildly injured arteries, presumably reflecting a faster transient response of FKBP-12 to injury. may well require that we consider diseased rather than naïve tissues in preclinical evaluations. Kolachalama VB, Levine EG, Edelman ER. PLoS ONE 2009; 4(12): e8105. Treatment of arterial bifurcation lesions using drug-eluting stents (DES) is now common clinical practice. 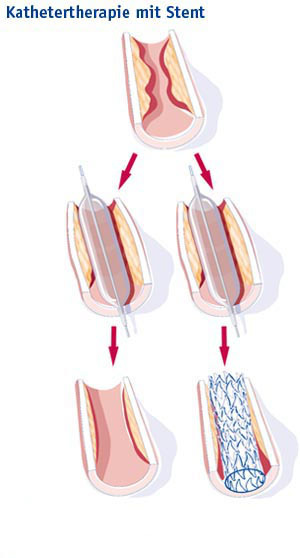 whether drug from a main-branch (MB) stent can be deposited within a side-branch (SB). factors modulating drug distribution when the main-branch (MB) was treated using a DES. obtained from human left anterior descending coronary artery (LAD). this ratio was also maintained for the SB. Schematics of the computational models used for the study. A stent of length LS is placed at the upstream section of the arterial vessel in the (A) absence and in the (B) presence of a bifurcation, respectively. and the main-branch in (iv). A delta wing-shaped cell design belonging to the class of slotted-tube stents was used for all simulations. fixed at 9|10-2 m and 3|10-2 m, respectively, for the MB stent. square with length 10-4 m.
In the arterial lumen, drug transport followed advection-diffusion process. Similar to the momentum transport in the arterial lumen, the continuity equation was solved within the arterial wall by assuming it as a porous medium. A finite volume solver (Fluent, ANSYS Inc.) was utilized to perform the coupled flow and drug transport simulations. The semi-implicit method for pressure-linked equations-consistent (SIMPLEC) algorithm was used with second order spatial accuracy. A second order discretization scheme was used to solve the pressure equation and second order upwind schemes were used for the momentum and concentration variables. until there was a 1028 reduction in the mass transport residual. induce an asymmetric tissue drug distribution profile in the longitudinal flow direction. Our3D computational model predicts a far more extensive fluid mechanic effect on drug deposition than previously appreciated in two-dimensional (2D) domains. Increased mural drug deposition along the flow direction in a non-bifurcating arterial vessel. Inset shows a high magnification image of drug pattern in the distal stent segment outlined by black dashed line. and the same notation is followed for subsequent analyses. increases in the longitudinal flow direction. 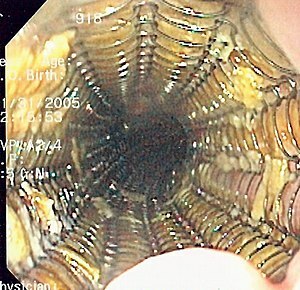 into the central segment of the arterial wall beneath the stent. but maintained similar relationship between the inter-segment concentration levels within the stented region. spatial gradients that are established in arterial drug distribution. drug distribution and corresponding spatial heterogeneity within inter-strut regions depend on the stent location with respect to the flow divider. Mural drug deposition is a function of relative stent position with respect to the side-branch and Reynolds number in arterial bifurcations. One can appreciate how blood flow and flow dividers affect arterial drug deposition, and especially on inter-strut drug deposition. Drug deposition within the stented-region of MB and the entire SB significantly decreases with flow acceleration regardless of stent placement. thought to be restricted to systemic dilution. Arterial drug deposition is mediated by flow in bifurcated beds. extensive flow-mediated drug delivery in bifurcated vascular beds where the drug distribution patterns are heterogeneous and sensitive to relative stent position and luminal flow. when the MB stent is downstream of the SB flow divider. the presence of the SB affects drug distribution in the stented MB. several types of stents with variable design features. bifurcation angle, arterial taper as well as presence of a trifurcation can also be understood using our computational framework. Further, performance of a candidate DES using other commonly used stenting procedures for bifurcation lesions such as culotte and crush techniques can be quantified based on their resulting drug distribution patterns. You have completed a masterpiece. It is a major contribution to increase the readership on these seminal lab results on the etiology of Revascularization Mechanics and experimental approaches to Tissue Reperfusion. The outcome of the written article is exceeding my expectation. Thank you for your massive effort to edify the Readers on a very complex topic.